Today is the most auspicious day . 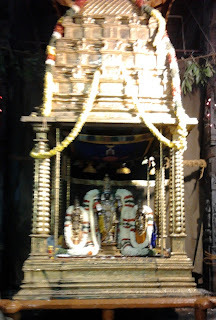 This year the holy Vaikunda Ekadasi is on the 20th day of Margazhi ie Thursday, 5th Jan 2012. (today). Margazhi month is significant for Srivaishnavaites. The shukla paksha Ekadasi i.e., 11th day (the ascending one after Amasvaya or the New moon) is hailed as “Vaikunda Ekadasi”. At the Bhooloka Vaikundam of Srirangam Divyadesam, it begins from Suklapaksha Ekadasi and celebrated for 23 days whence Namperumal listens to the vedas and Nammazhvar's Thiruvaimozhi as rendered by the Araiyars. The festival is divided into two parts, ten days before Vaikunda Ekadasi known as Pagalpathu and 10 days from today, known as Raapathu. 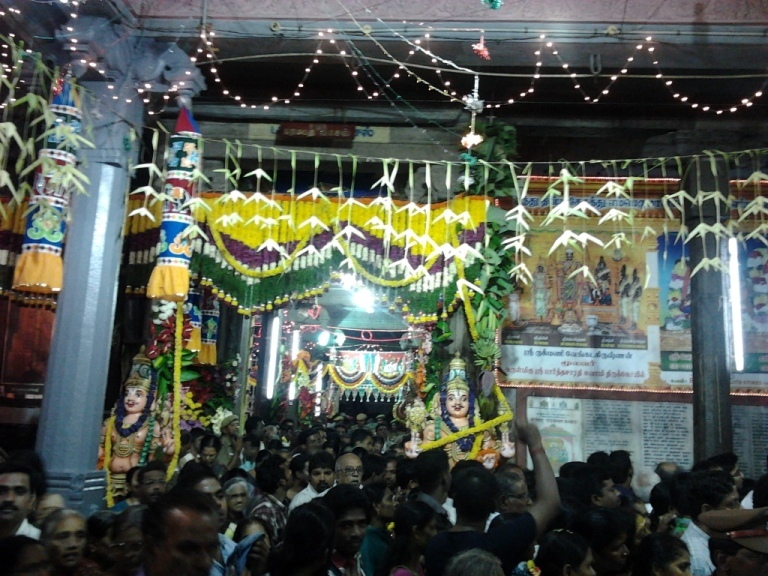 The Vaikunta Ekadasi festival is an occasion when the Paramapada vaasal is opened for devotees. Paramapada Vasal also known as Sorga vaasal is the Gateway to Heaven. During the Vaikunta Ekadasi day and the subsequent nine days, Lord Namperumal enters the Thirumamani mandapam (Paramapatham) through this door known as Paramapatha Vaasal. (sorga vaasal). This is celebrated in most Srivaishanva Divyadesams. 10 days from today are celebrated as “Iraapathu uthsavam” in which the hymns of Sri Nammazhwar (Thiruvoimozhi) are chanted. This religious system is believed to have been started by Thirumangai Azhwar. Later Acharyan Nathamuni introduced festival of 10 days preceding the Vaikunda Ekadasi, known as Pagal pathu when Nalayira divyaprabandham (pasurams of Muthalayiram and Thirumangai mannanin Thirumozhi) are recited. At Thiruvallikkeni divyadesam, today the temple rituals started early morning. Moolavar Sri Venkata Krishnan in his resplendent splendor adorning Muthangi (dress made of pearls) blessed the devotees. Purappadu of Sri Parthasarathi Swami beautifully adorned with jewels and wearing Vajrangi took place inside the temple. With Swami Nammazhwar welcoming him, Sri Parthasarathi came through the Paramapada vassal. Thousands of devotees had the fortune of having the wonderful darshan on this holy day. 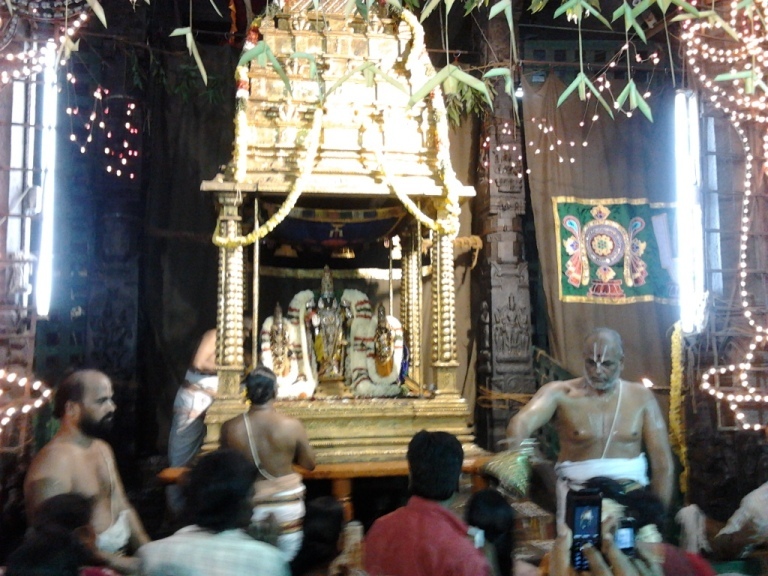 Devotees can have darshan of Sri Parthasarathi perumal in Punyakoti vimanam at Thiruvoimozhi mantapam. Here are some photos taken today. Thank you for your detailed info. 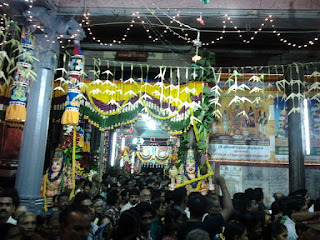 I was searching for the triplicane paramapatha vaasal photos or videos.